Cynthia Beermann started working with The City Hospital in Dubai as a marketing communications specialist during the hospital’s launch four years ago. Her job title includes a number of things, she said, but in general, can be summed up by saying she works with the public. Beermann said a major objective of The City Hospital is that they aim to improve healthcare for western expats. 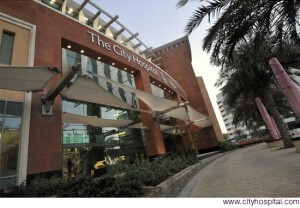 The City Hospital is a state-of-the-art, multidisciplinary hospital, and is accredited by the College of American Pathologists. “It’s the first of its kind in Dubai,” said Beermann. Some of Beermann’s marketing methods for The City Hospital includes publishing print ads and SMS marketing techniques, but according to Beermann, all advertising must be approved by the government. On the other hand, editorial content does not. “Editorials with health information is one way we can get our name out there,” said Beermann. The City Hospital works with three big newspapers which publish articles with valid medical information, such as something written about sleep issues, for example. Beermann said popular magazines, like Cosmopolitan, will come to interview The City Hospital’s doctors to get information for stories that deal with health. Dubai Madame, a new online french-language news source, publishes health-related educational editorials once a month. Another big marketing strategy that Beermann employs is coordinating and attending events, and organizing sponsorships. Beermann said they may set up a table with Expat Woman, another website they advertize with, or attend an event put on by the Dubai Ladies Club. Studies show that women are the primary decision-makers in the family when it comes to healthcare. Beermann agreed. “We focus on women all the time!” she said, and added that by targeting women, the entire family benefits. At their events, The City Hospital will give away free health check vouchers, some with a value of up to US$1,000. Beermann said that it is not uncommon for a voucher to be awarded to a woman attending the event, who will then give it to her husband to take advantage of the free health exam. According to Beermann, a challenge she faces is getting local women to pay attention to the advertising. She said they generally will not attend events due to the sensitive subject matter, and educational speeches have to be tailored, so not to be deemed inappropriate for the Islamic culture. Still, Beermann remains the go-to woman in the community for questions regarding health issues. She is involved with community education programs based in schools and companies, and advocates breast cancer awareness and HPV vaccination campaigns. Posted in Expat PR.Tagged expat, marketing, women.